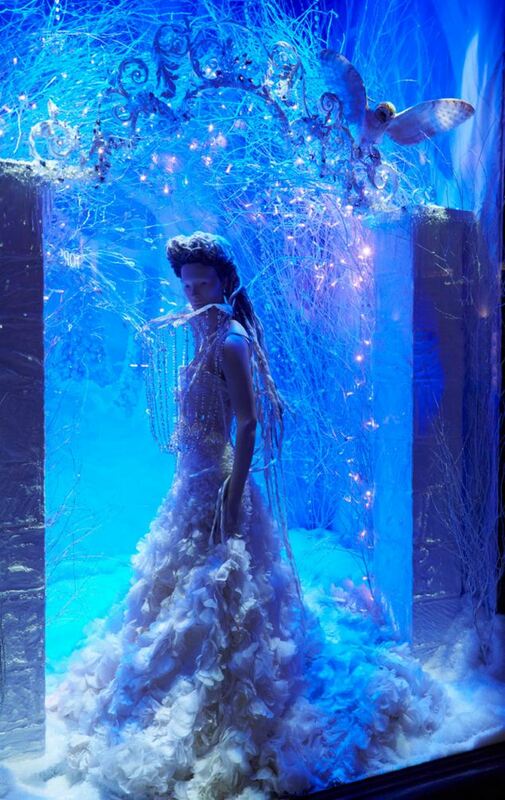 November 5 marked the debut of Harrod’s Swarovski Crystal Christmas! Can you believe it….50 days til Christmas? 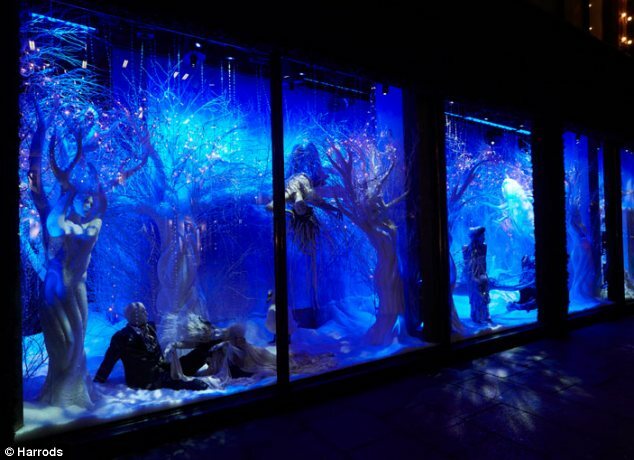 Inspired by Swarovski, the large department store has a seven-window display featuring a glitzy woodland landscape with dazzling trees drenched with Swarovski gems. When Harrods and Swarovski joined forces, nothing but the finest should be expected. 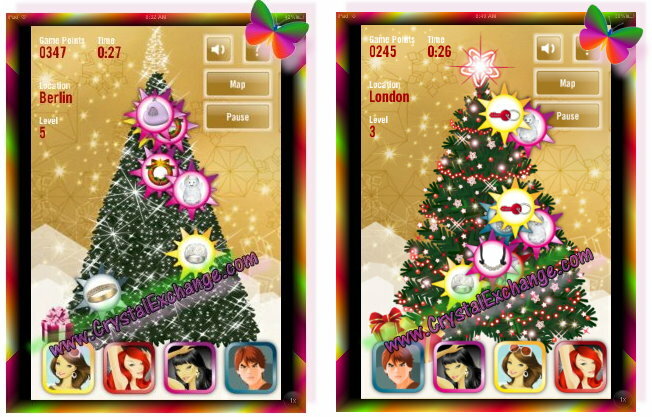 The fascinating forest scene features mannequins hanging from trees along with wintry branches and garland. ‘We are really excited to be part of ‘A Crystal Christmas’, Tamara Ralph said. ‘When I was asked to create my ultimate Swarovski gown, I was instantly inspired by the 1920’s era. I wanted to create a show-stopping and intricate piece that oozed glamour.’ The wedding dress contains approximately 152,000 Swarovski crystal stones. The gown workforce consisted of more than 25 couturiers working hundreds of hours to completion. Swarovski will have a pop-up store in four of the seven windows, selling jewelry, including that from the Atelier Swarovski collection. 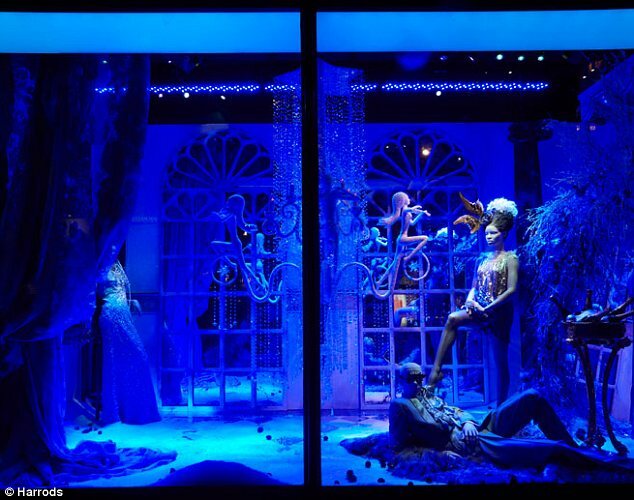 Check out the display windows…. I personally thought that the display seemed a bit dark, missing the true meaning of Christmas. After writing this article, I revisited the web site where I found the news and found LOTS of comments from readers who seemed quite turned off by the display. Some adjectives and phrases posted by readers include “scary”, “bizarre”, “depressing”, “inducing nightmares”, and “creepy”. Sometimes pictures don’t do justice to the actual live display….I’d be interested to see it personally, but really cannot seeing as it is on a different continent than I live. In any case, I hope that it is the success that Swarovski and Harrods are hoping for. Swarovski News: Swarovski Orange Shine Panther, NLE of 888, Sold Out! Today, we received the official Swarovski news that the Swarovski Orange Shine Panther is now SOLD OUT! The Orange Shine Panther publicly launched August 29, 2011. This Swarovski Panther was a limited edition figurine (Swarovski NLE) of 888 units. The orange wild cat, in a typical cat pose, retailed for $1110. Despite it being ‘another limited edition’ panther, I expected a quick sell out, like the Swarovski Black Panther. The Swarovski Limited Edition Black Panther (Swarovski NLE) was limited to 500 units and retailed for $960 when it was briefly available at the online Swarovski shoppe in April, 2010. I’m wondering what the crystal brand is thinking…. Is another colored, limited edition Swarovski panther figurine in the works? Does the extended time available indicate that Swarovski collectors did not like the orange-shine color? Does the extended time available imply that Swarovski collectors might not be interested to purchase another limited edition panther in a different color? Now, if feline fanatics want to purchase the Swarovski Orange Panther, they will have to turn to the secondary market or online auctions. At Crystal Exchange America, the Black Panther and Orange Shine Panther, as well as other Swarovski NLE figurines, can be found in the ‘Limited Edition Swarovski’ category of the store. Or collectors can use the powerful store search feature, keyword ‘panther’ to restrict the search results to Swarovski panthers. 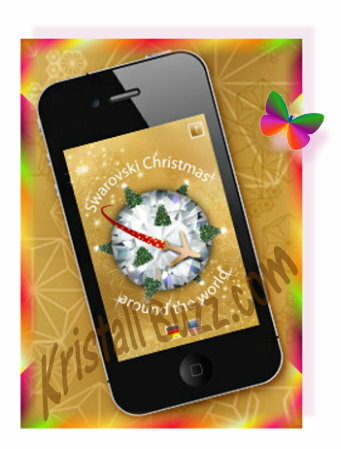 Swarovski News: Swarovski Arctic Hare at SCS Online Event Today! October 27 marks a special online event at the Swarovski website! The Swarovski Arctic Hare is available to purchase directly from the crystal brand’s online shoppe for a limited 24-hour window (or while stocks last). The Swarovski Arctic Hare is a ‘crystal moonlight’ rabbit figurine. 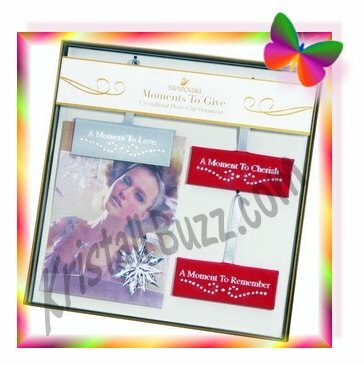 It is a Swarovski crystal figurine normally available for purchase at Swarovski events by SCS members who attend a store reception. The crystal bunny is about 1.5” x 2” in size and retails for $110. This Swarovski crystal figurine was designed by Anton Hirzinger. 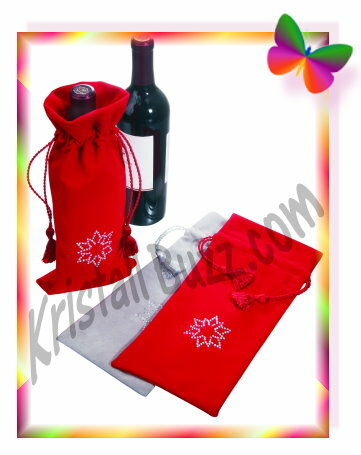 The Arctic Hare is also symbolic in that it marks the Year of the Rabbit: 2011 in the Chinese calendar. If you are a hare fanatic, you may be interested to purchase all 3 of the crystal hare figurines. Remember, the Swarovski Arctic Hare can only be purchased by SCS members for the online event. But once they hit the online auctions or secondary market, anyone can purchase them. To find other similar figurines on the secondary market, you can visit the web site of Crystal Exchange America (www.CrystalExchange.com). Use the powerful store search feature with the term ‘bunny’, ‘rabbit’, or ‘hare’ to find exactly what you are looking for! Swarovski is hosting a very special event to celebrate the 150th anniversary of Italy as a united nation at Museo Capitolini! The SCS Gala dinner is October 15, and registration is required. Swarovski designers Anton Hirzinger and Adi Stocker will be in attendance as well as local celebrities. Attendees of this magnificent gala event will be offered a private tour and viewing Capitolini Museum, which is the oldest museum in the world. The crystal brand has produced a special Swarovski NLE crystal sculpture for preview and purchase during this gala event. 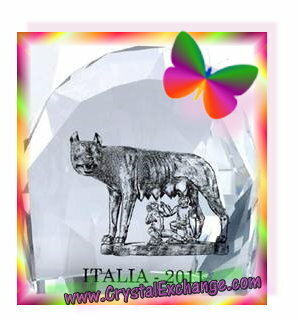 The figurine is “La Lupa”, which is a crystal portrayal of the famous Capitoline Wolf created solely for Italy during this year of celebration. The Swarovski La Lupa sculptures should be available for purchase during the weekend. The Swarovski signing event is October 16. Designers Anton Hirzinger and Adi Stocker will be signing their own Swarovski crystal creation for SCS members in attendance.